Cocos Growing A high yield and sustainable cultivation! When you choose to grow in Cocos you can consider yourself a professional grower with a technical mind. To successful grow in Cocos, you need to have pH and EC/PPM measurement tools. Also pH correction liquids may be necessary to affect your pH levels to the preferable values. 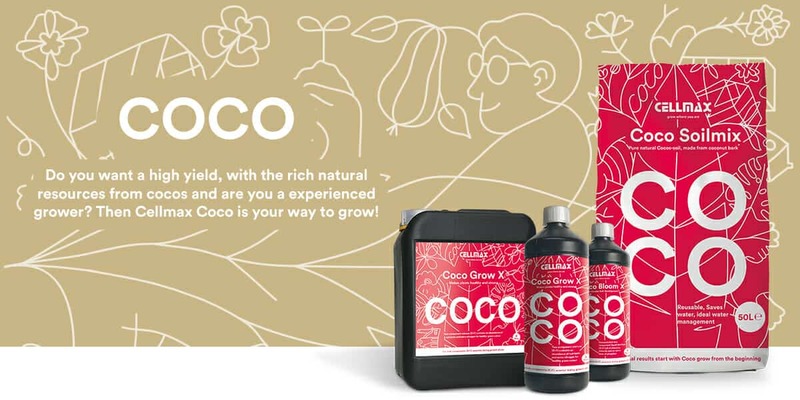 The high yield you can achieve with cocos is a result of the natural richness of the coconut; it contains substances that stimulate the growth of your plants. 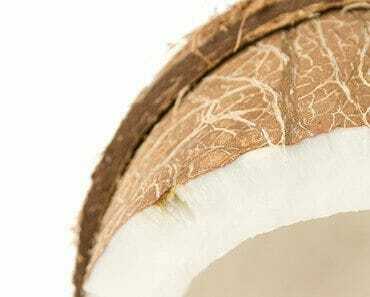 Furthermore, cocos has a very high buffer capacity and allows for excellent regulation of pH values. When you are growing in a coco based system, your substrate does normally not contain any nutrients, therefore its important to use fertilizers all the time until the harvest.To achieve the best results we advise you to use fertilizers 2-4 times per week. 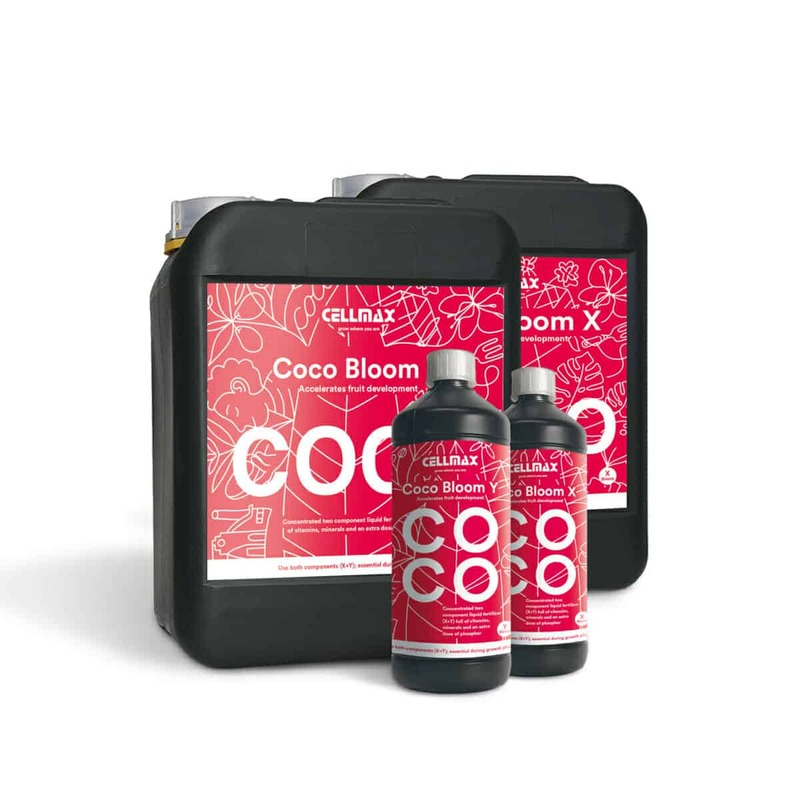 The Cellmax Coco nutrient formula consists of two products: Cellmax Coco Grow that is designed and balanced for the vegatative stage and Cellmax Coco Bloom that is designed and balanced for the flowering stage. These products both exist as an X component and a Y component. The Cellmax Coco fertilisers are used during the entire growth and flowering process. It ensures that plants grow rapidly and flower abundantly. It is easy to use, gives a high-quality end result and is free from toxic ballast substances. The Cellmax coco fertilizers works best when combined with Cellmax Coco pro-substrates. Do not mix components X and Y directly with one another! For the best result, first dissolve one component in water and then the other.